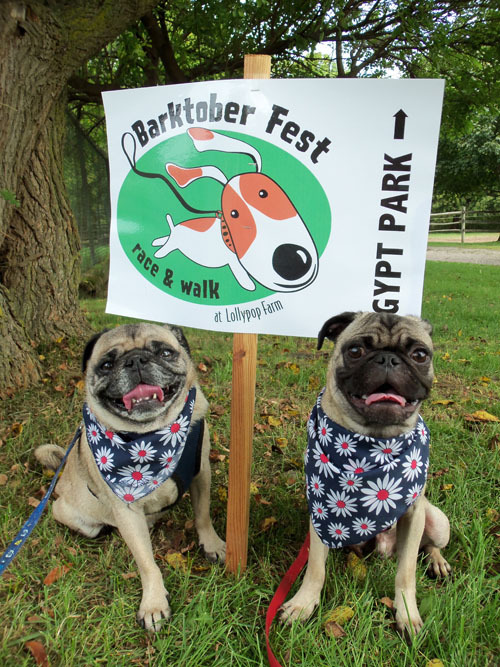 Today was Barktober Fest and the pugs rocked it! 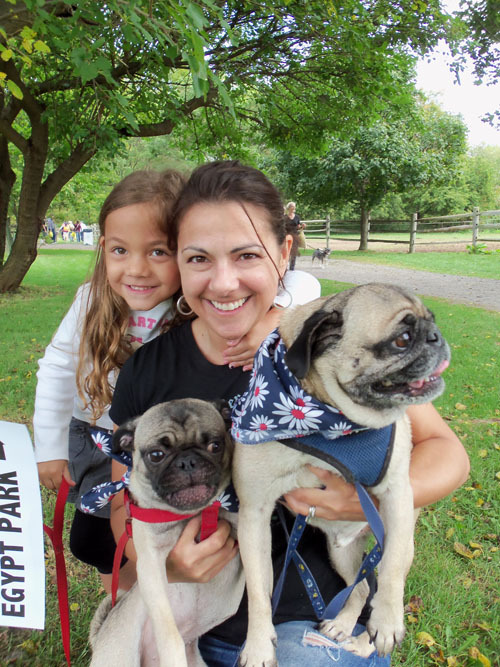 Oscar and Hugo raised $350 for Lollypop Farm. A huge thanks to everyone that sponsored them. 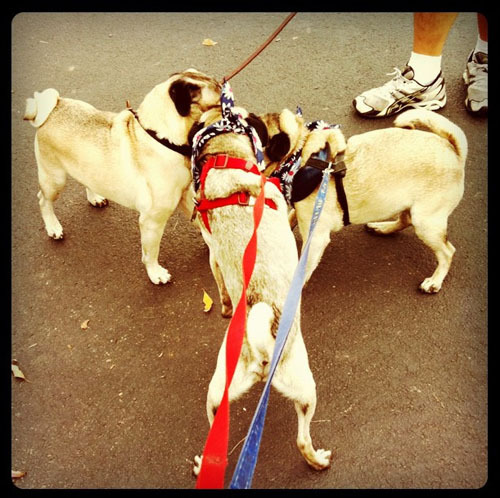 They had a great time - pug cluster! 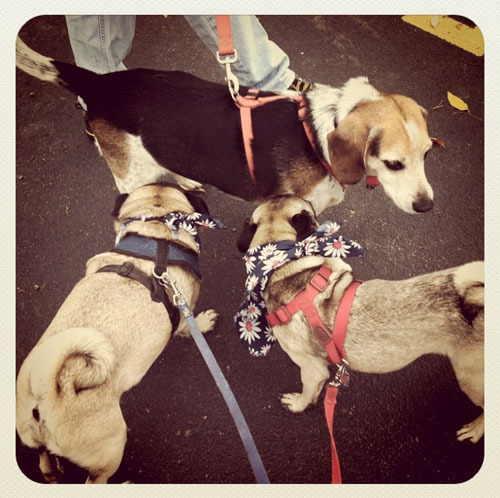 They really enjoyed meeting all the other dogs - inspecting a beagle. 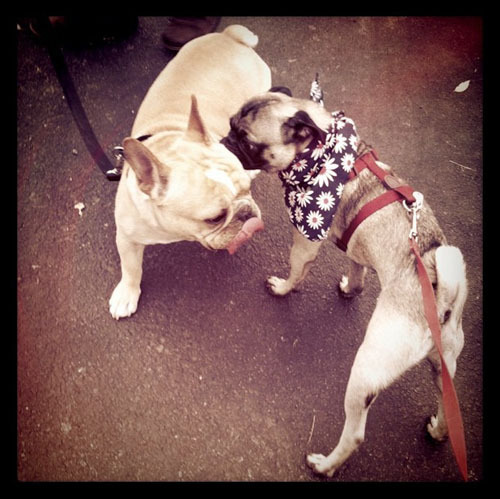 I had two tired pugs on my hands when we got home - hello Frenchie! They are such good walkers! 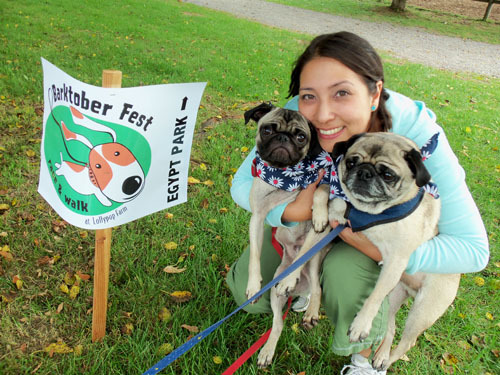 And a big thanks to Tina who helped wrangle the pugs during the walk! 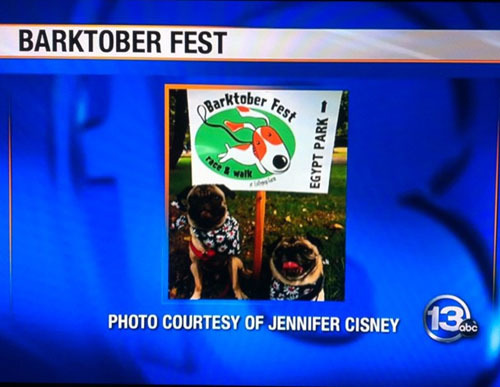 Oscar and Hugo even made it onto 13 WHAM News!